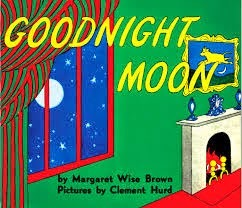 I was so excited to start Goodnight Moon for our third Before Five in a Row selection. This is one of Molly's favorite books; she loves to find the mouse on each page. Also, Reed had been pointing out the moon a lot lately and specifically asking why it changes shapes. I had seen a fun moon phase lesson using oreos on Pinterest, and chose to row Goodnight Moon as soon as possible. We had a "bowl full of mush" for breakfast before we read together and played a memory matching game with some of the goodnight objects. 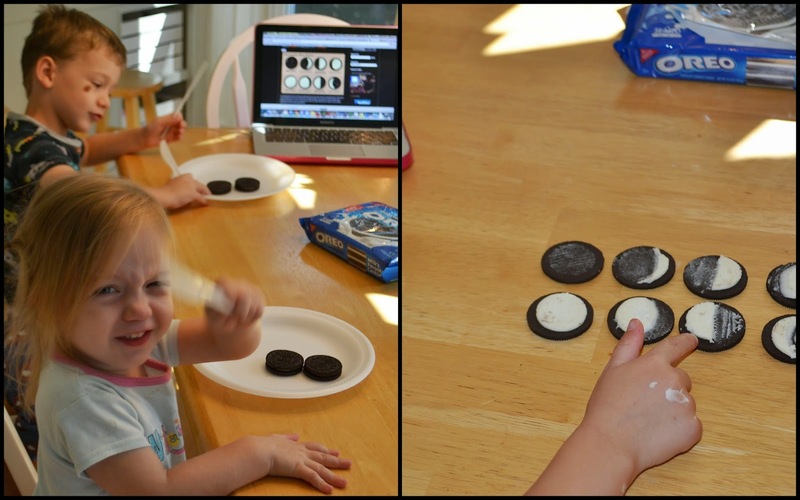 Next we busted out the Oreos! :) (We referred to this site). We hadn't ever talked about outer space that I can think of, so we kind of started there with a quick overview and then focused on just three things-- that the moon is made of rock, that it reflects light from the sun, and that the moon appears to us to change shape as it circles, or orbits, around the earth. We made an oreo of and talked about each phase, but mostly focused on the new moon, crescent moon, half moon, and full moon, kind of letting gibbous fade into the background and only mentioning the waning/waxing distinctions. After naps on Monday, we went through a pile of books to find pictures of moons and identify the phase of each one. Day two was painting day! The illustrations in Goodnight Moon are perfect for talking about primary and secondary colors, so we did just that, followed by some color mixing. 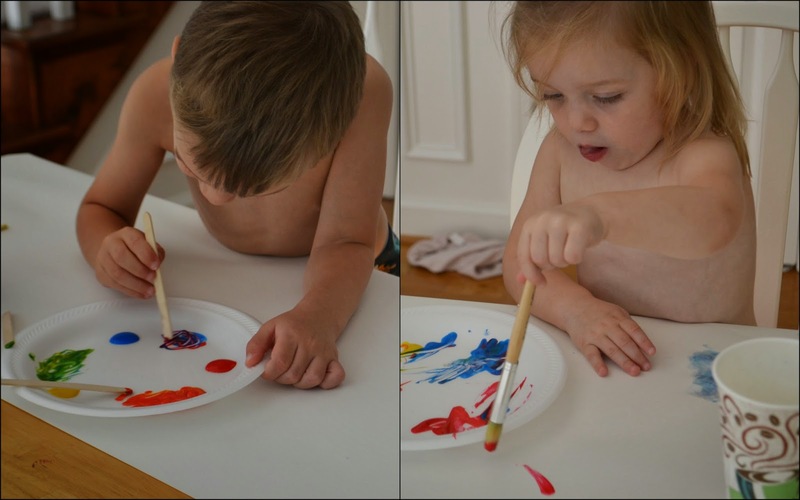 And then the little shirtless Picassos just went for it! Masterpiece! After we read the story on Wednesday, we talked about the paintings of the three bears and of the cow jumping over the moon in the room, and then we read "Hey, Diddle Diddle" and Goldilocks and The Three Bears. They, especially Reed, LOVED this! 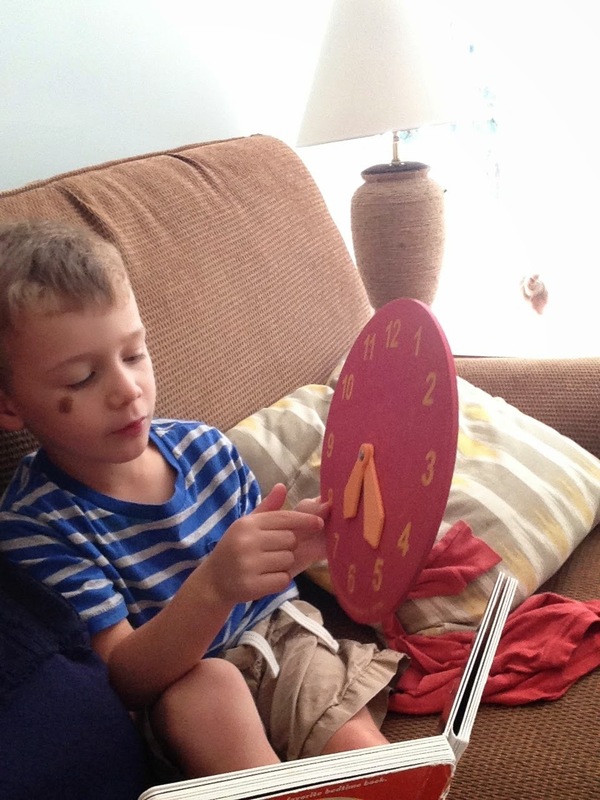 I think I was begged to read Goldilocks three or four times... must have been my bear voices. ;) Reed also rocked a rhyming word match.